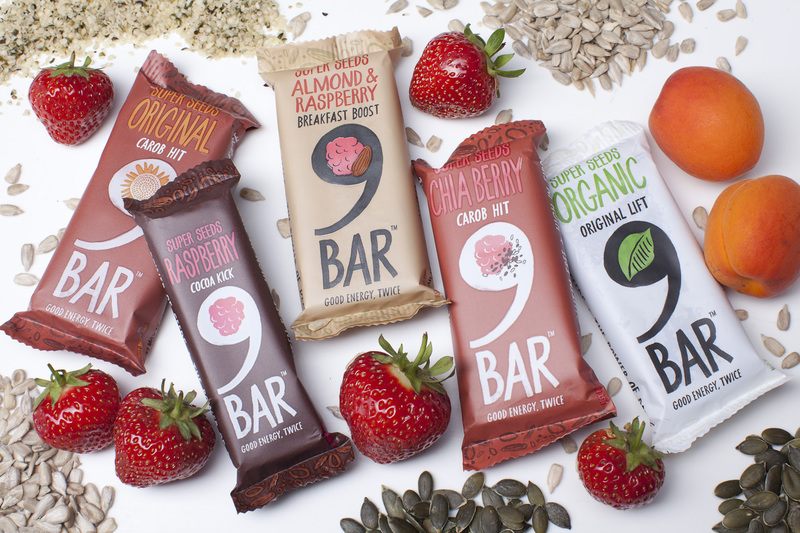 I was lucky enough to be invited to the recent launch of the rebranded healthy seed and nut bars, 9Bar (about which more soon). One of the main draws was the chance to attend a Pilates session with the fabulous Lynne Robinson, who has been described variously as the “Queen of Pilates”, the “High Priestess of Pilates” and the “First Lady of Pilates”. Lynne founded Body Control Pilates so when I was offered the chance to be taught by her and to interview her afterwards, I jumped at the chance. I’ve not really done any Pilates before, apart from the occasional taster here and there, but I had an idea that it would be great for my body, which at the time was feeling a bit creaky. My back was twingeing and an old shoulder injury was bothering me. I felt every day of my age. How right I was. The session was targeted at beginners and it was super-gentle, whilst at the same time definitely working the core. Everyone was encouraged to work at their own level, and Lynne and her assistant constantly corrected our posture. By the end I felt looser, lighter and about 10 years younger. Lynne herself is one of those wonderful, life-affirming people who just make you want to open up and smile, so I’m not surprised that her personality, coupled with her expertise, have made her so much in demand. I had some time to chat to Lynne after the session and to ask her why Pilates is great for the over 40s and anyone starting exercise from scratch. Here’s what she had to say. SPORTY OVER FORTY: IS PILATES A GOOD FORM OF EXERCISE FOR SOMEONE STARTING EXERCISE FROM SCRATCH? LYNNE ROBINSON: Pilates is a really lovely thing for someone if they haven’t done exercise before, because it’s non-competitive and we start off very gently and slowly so it’s not frightening. It’s very dignified. If you’re coming to it when you’re a little bit older, it’s a very safe, supportive environment – I think that’s really important. I sometimes think when you get a bit older you’re a bit intimidated by a gym or a class that’s full of gorgeous young things wearing virtually nothing – you want to feel comfortable. SPORTY OVER FORTY: WHAT ARE THE MAIN BENEFITS OF PILATES FOR PEOPLE OVER FORTY? LYNNE ROBINSON: Where do I start? There are so many! Pilates is very good for our posture, because gravity tends to draw us down and that really isn’t good – it’s not good for your joints, it’s not good for your back, it’s not good for your bones, so the work that we do on lengthening posture is brilliant. It helps with your breathing – and there’s nothing more fundamental. If you can make your breathing more efficient, that helps your whole respiratory system. It’s good for your joint health. We work on gently mobilising the joints within a safe, supportive environment, so you’re not going to stress or strain your joints. There’s going to be no extra pressure on it, it’s going to be controlled, and that is really important, because by mobilising the joints you help produce synovial fluid and that will help lubricate the joints which is going to help with conditions such as osteoarthritis and things like that. It’s a bit of a cliché but what we say is motion is lotion. It’s really important for bone health. The figures for osteoporosis and fractures are appalling – it’s a terrible, terrible condition. We do weight-bearing work – our postural stability work is really important. With osteoporosis you actually need to put some stress on the bones because if you don’t stress the bones they’re not going to rebuild, but again it has to be done in a safe environment, so it’s perfect for that. We also work on the feet. As you get older your feet can become really painful. We have a lot of foot and ankle exercises in there. We work on balance which is really important for falls prevention. Pilates also boots your general health and wellbeing – it makes you feel better, less stressed. I’ve just become a grandmother and every day I thank heavens I do Pilates. The other day I spent two hours bounding on a ball to get my granddaughter to sleep, and I just couldn’t have done it if I hadn’t done Pilates. Every time I pick her up I feel my core engages automatically –thank heavens! SPORTY OVER FORTY: PILATES IS OFTEN SEEN AS A FORM OF EXERCISE JUST FOR WOMEN. WHAT ABOUT MEN? LYNNE ROBINSON: Oh yes, that’s very important. Pilates is for men as well – in fact Joseph Pilates originally designed Pilates for men; we’ve just adapted it. I work with a lot of footballers – I used to work with Chelsea and now I work with West Brom, so a lot of sporting people do it. There’s a whole programme just for golf, and it’s big in rowing – Olympic rowers have been using it for years. Cracknell and Pinsent did a lot of Pilates. SPORTY OVER FORTY: IS PILATES ENOUGH BY ITSELF OR SHOULD YOU COMBINE IT WITH OTHER FORMS OF EXERCISE? LYNNE ROBINSON: The one thing that we are missing in Pilates is cardiovascular – you do have to add a cardio workout in there as well. SPORTY OVER FORTY: IF YOU’RE THINKING OF STARTING PILATES AND DON’T KNOW WHERE TO START, WHAT SHOULD YOU DO? LYNNE ROBINSON: The best thing you can do is find a beginners’ class and start there. If you don’t get those fundamentals right, it’s like a building a house on sand – it’s not going to work. So many people think they can just drop into a big gym class and you can’t. You have to learn the fundamentals, get the foundation right, and then build on that. A good class will take you progressively and build it step by step. It needs a bit of investment and it needs patience. SPORTY OVER FORTY: WHAT SHOULD YOU LOOK FOR IN A PILATES TEACHER? LYNNE ROBINSON: If you can afford a one-to-one that’s the Rolls Royce, that’s fantastic, but if you can’t, look for a small group with a teacher who comes around and adjusts your positioning – and they shouldn’t really have more than 12 in the group. If you work with Body Control our teachers are not allowed to work with more than 12. That way you know you will be corrected. It’s those little adjustments that make a big, big difference. I have a session myself twice a week, and my teacher still has to correct me. SPORTY OVER FORTY: PILATES IS VERY POPULAR, BUT IS IT A SAFE FORM OF EXERCISE? IS THERE A DANGER OF IT BEING TAKEN TO EXTREMES OR SUCCUMBING TO FASHION? LYNNE ROBINSON: We’ve always got the medical profession looking over our shoulder. What you’ve got with Pilates is a really lovely mix. You’ve got that creative side, the dance side of it, so we’re always coming up with new exercises and new movement which is great, but underpinning it all we’ve got doctors, physios, chiropractors checking what we’re doing the whole time. The minute we started to get extreme they’d be on to us. We have to work within hospitals – I’m not going to get a back surgeon to send someone to me because I’m wearing the right type of leggings! Pilates is about you and understanding and learning about your body and working with it, and with that medical people looking at us the whole time we’re always going to be steady and focused and sensible. You’re not going to go somewhere and be pushed into doing something that‘s too extreme. Have you tried Pilates? What did you think of it? I’d love to know. Look out for a post soon about 9Bar and why you should have nuts and seeds in your life. How mindful eating could change your eating habits and even help you manage your weightChia on trial - are we being ripped off?